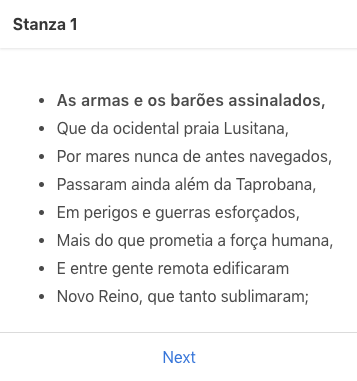 Memorize the epic poem of the Portuguese, using cutting edge learning techniques. 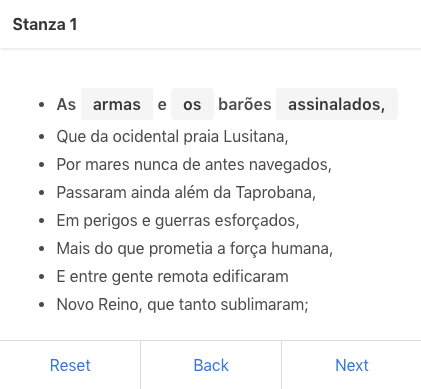 To get started, click the Learn on the navigation bar above and read the first line. Click Next and try to guess the obfuscated words. 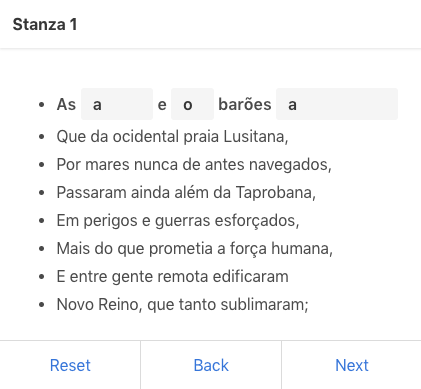 Click on the grey boxes to reveal the words underneath when you need help remembering. Test your knowledge by typing each word from memory. Red means you made a mistake; green means you got it right. Don't worry about the diacritical marks. You can keep going for as long as you want. 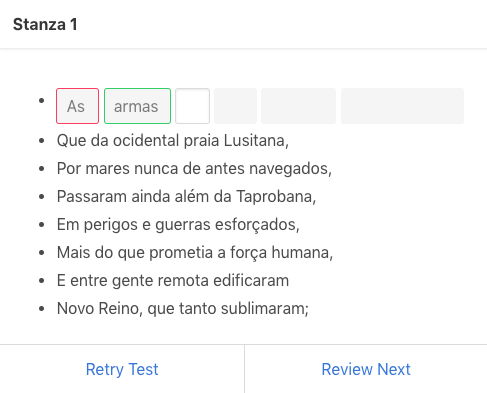 When you come back a later, click Review to go over only the words you struggled with the most or are about to forget. Because we determine this using the Leitner system, you never have to waste time practicing words you already know.